I just watched a really intriguing video on youtube, found via a website called YOUtopia INstitute. The video is what appears to be an adaption of the book, War is a Racket by Smedley Butler. 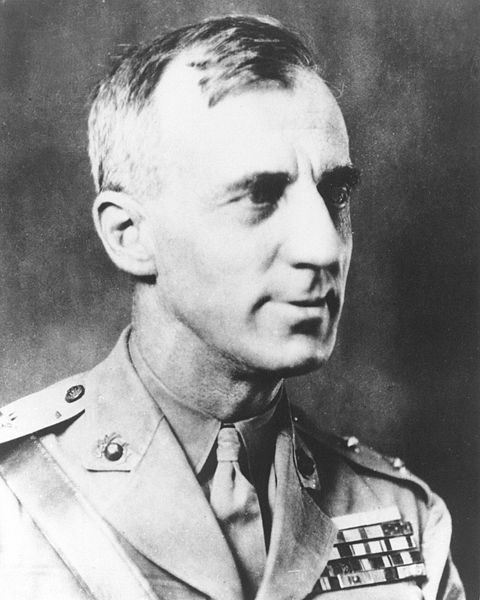 Smedley Butler was a U.S. Marine for over thirty years, earning two Medal's of Honor. Although the book was short, due to the likely criticism and risks he faced, this book was very likely no small task. Writing his opinion in stone, metaphorically speaking. The picture below is actually of Smedley Butler. His book, War is a Racket can be found online at the previous link for free. Hosted by HostNine This page was created in 0.00382709503174 seconds.